MobiComp provides mobile solutions that create value for users and operators through the protection, creation, sharing and discovery of mobile content. Its MobileKeeper suite of products allows mobile operators and service providers to drive demand for value-added services, create new revenue streams, strengthen user relationships and attract new customers. 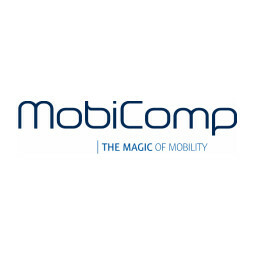 Established in 2000, and headquartered in Braga, Portugal, MobiComp has offices in London, Dubai, Lisbon and Kuala Lumpur. Its customers include TMN, Vodafone, Optimus, Syriatel, Cellcom and Al Jawal. MobiComp was acquired by Microsoft.